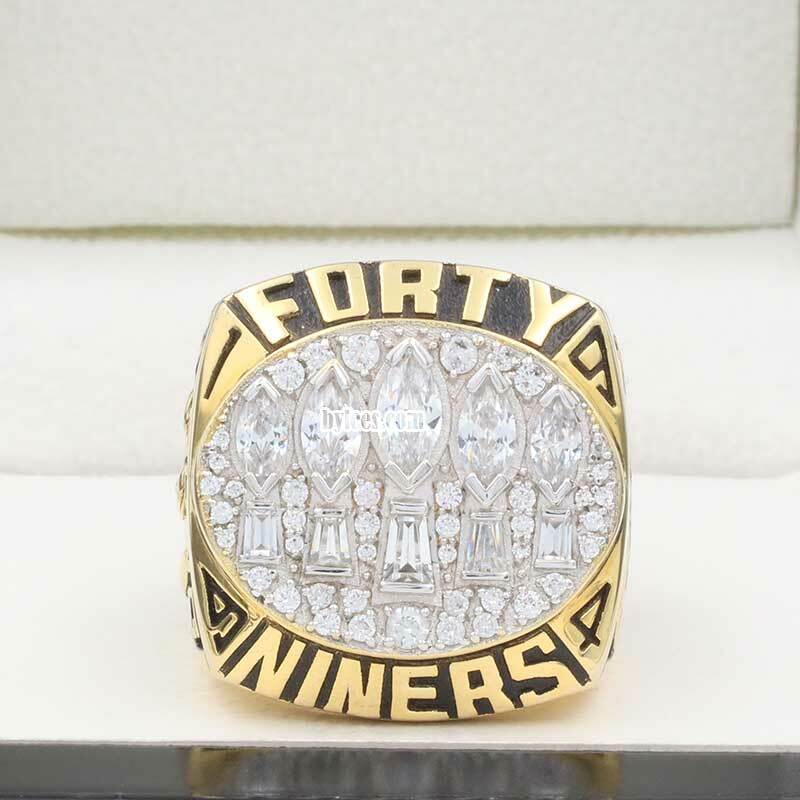 The San Francisco 49ers became the first team to win five super bowl rings after this NFL victory. 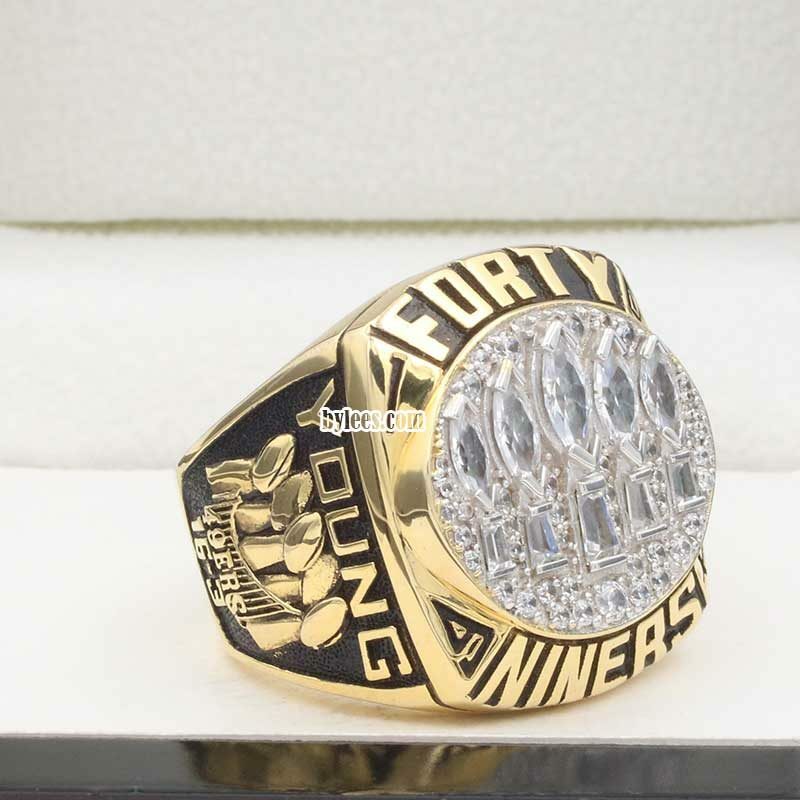 This was forever engraved in the 49ers Super Bowl XXIX Ring. 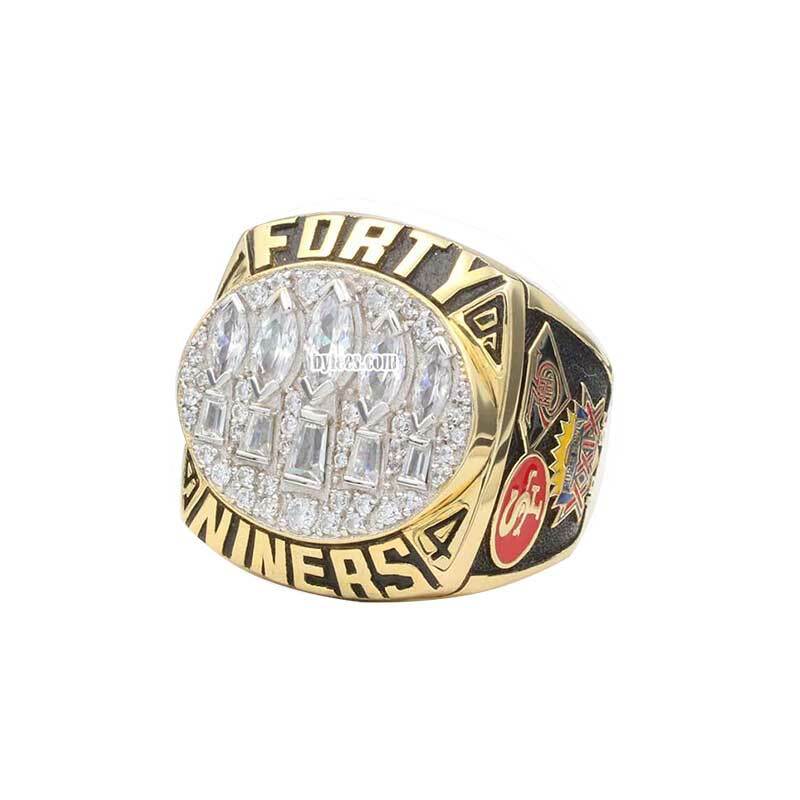 Interestingly, their logo has never ever found on the top of all 49ers Championship rings, and because of the long name of the team, The team name was shorten as Forty Niners in the 1994 Super Bowl Ring (the same goes to 1989 Super Bowl Ring); besides, the year was always engraved around the 4 corners of the top (excluded 1988, 1989) , these factors are kind of symbol of San Francisco 49ers Championship Rings. 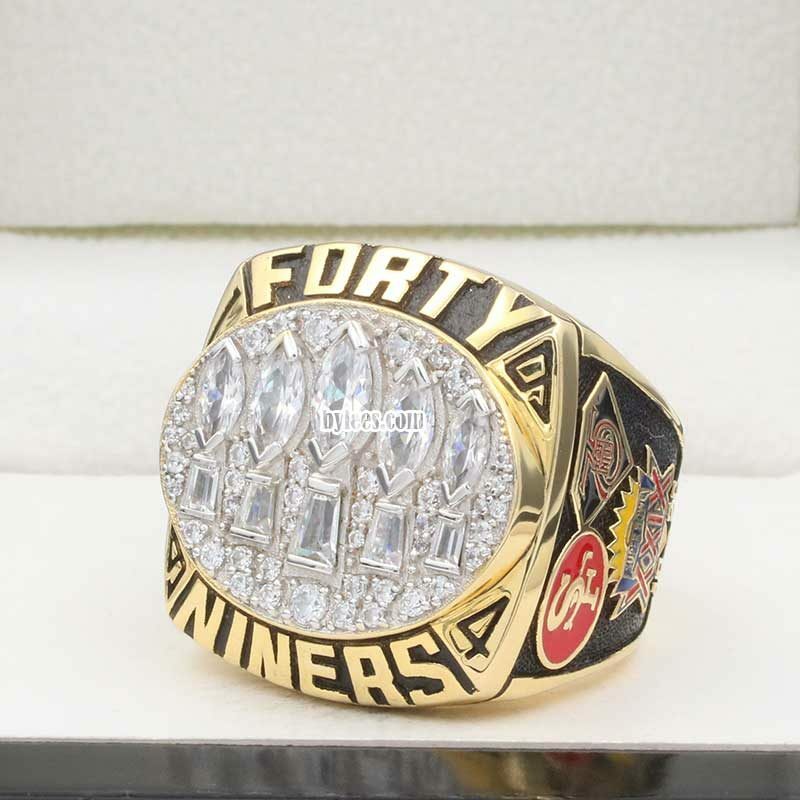 so if you ever thought that it is way too low profile for the 49ers rings, then you were wrong. 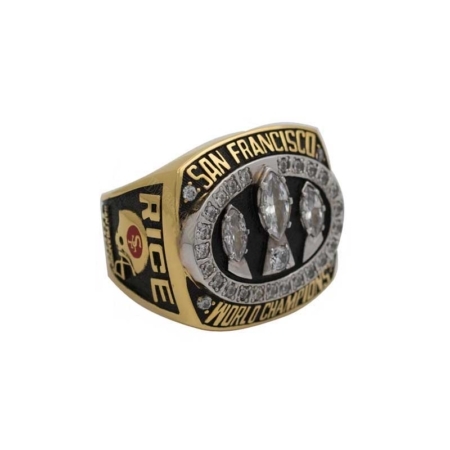 San Francisco is well know for the Gold ! 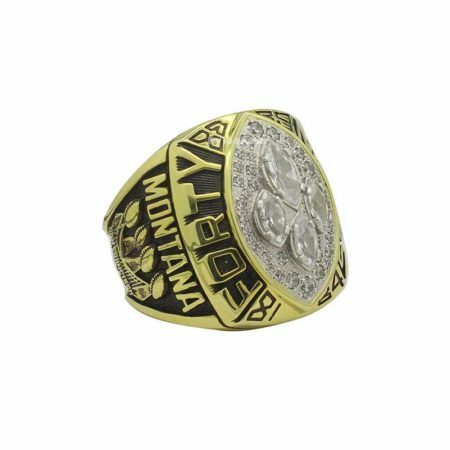 don’t forget both their rings and uniforms are gold color mainly. 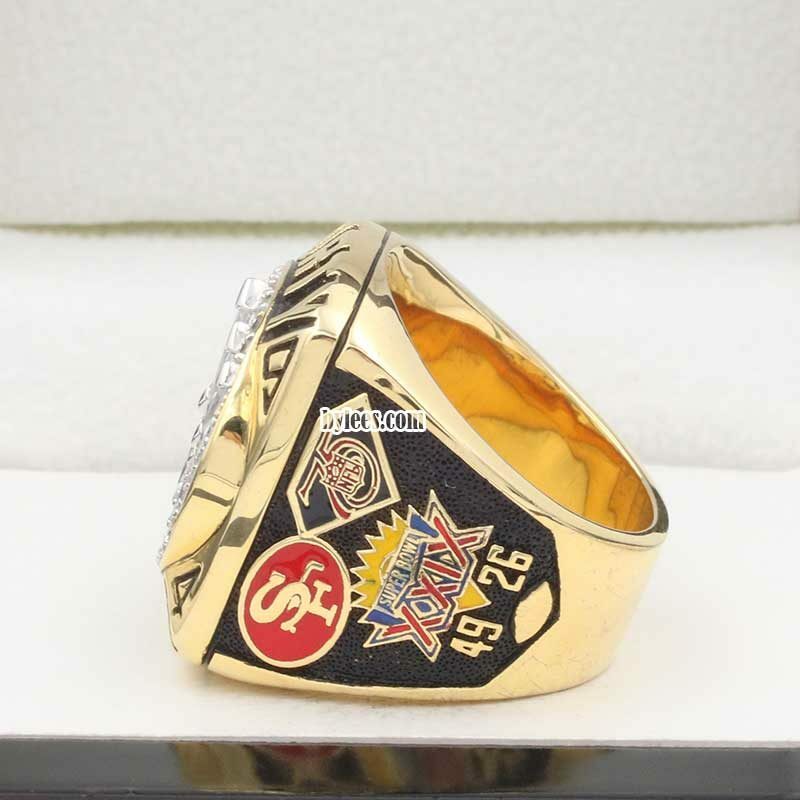 The Super Bowl 24,was played on January 29, 1995 at Joe Robbie Stadium in Miami, Florida. 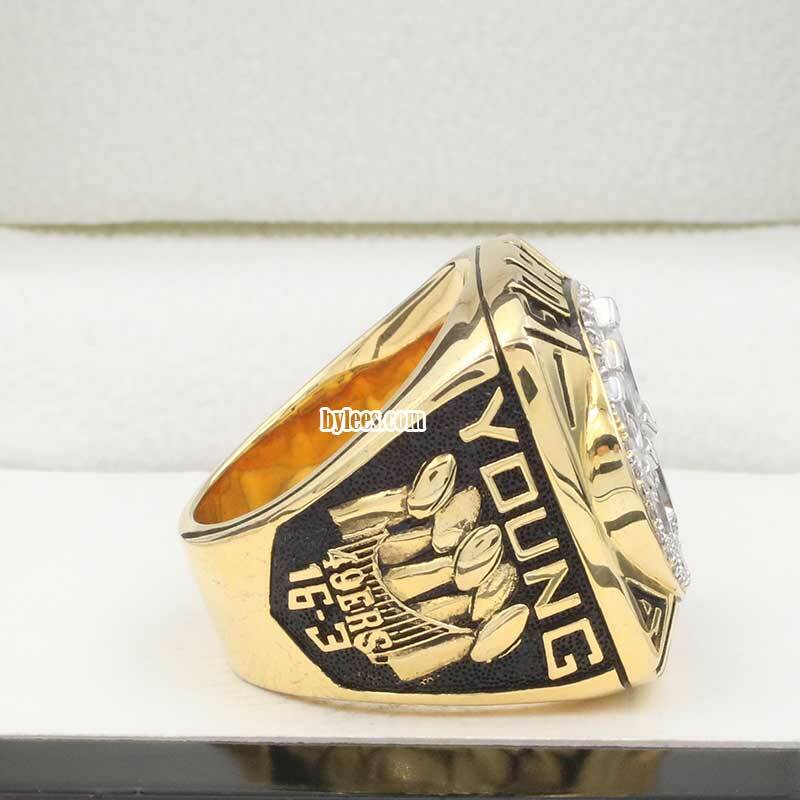 Steve Young was, like Joe Montana five years earlier, at his peak. 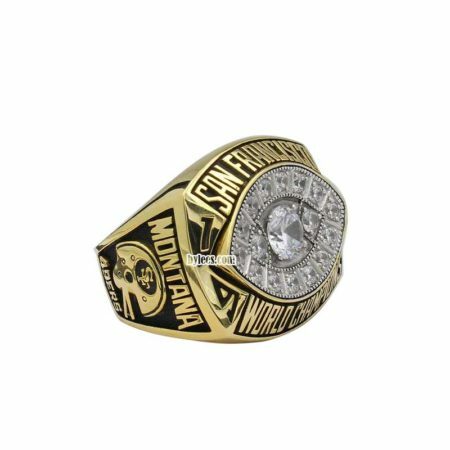 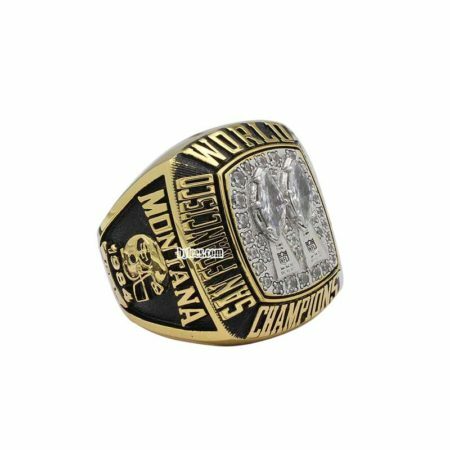 He masterfully directed a San Francisco offense that scored a franchise-record 505 points and beat three playoff opponents by a combined 62 points and named as MVP, The version you saw here is the replica of Steve Young 1994 Super Bowl ring.